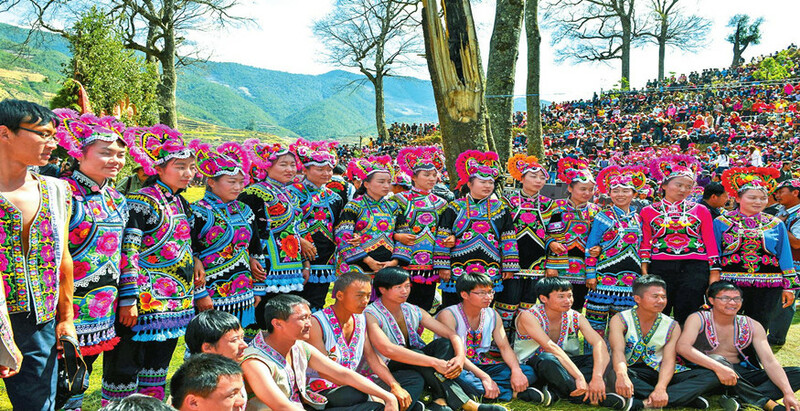 When many parts of Yunnan Province were soaked in the festive ambiance of the Lantern Festival in lunar 15 January, the Yi ethnic members of Zhiju Village of Yongren County were busy with a special “fashion show” of their own—the costume festival or contest. 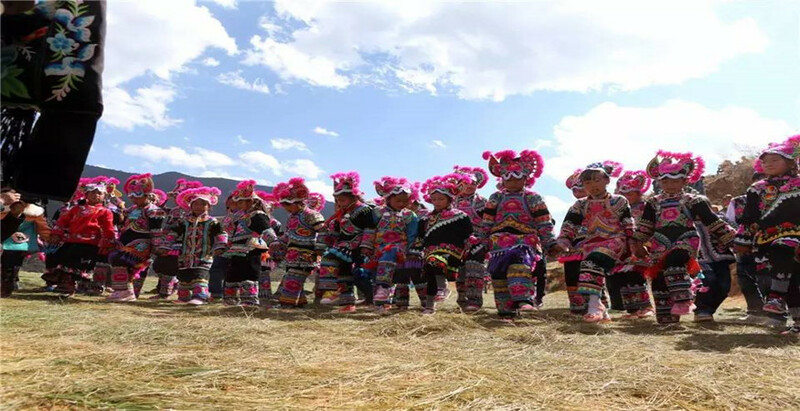 The costume festival has enjoyed a long history in Zhiju Village of Yongren County’s Zhonghe Town, Chuxiong Yi autonomous Prefecture. 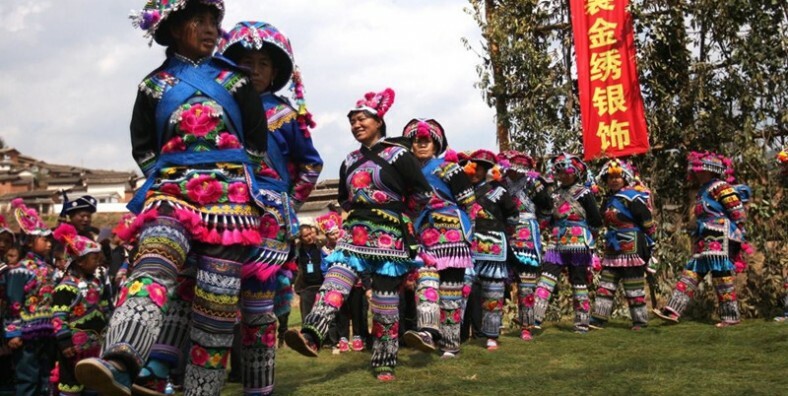 Spent annually on lunar 15 January by the Yi ethnic people, it is a very important event for the Yis–especially young girls (Lipo in the Yi ethnic language) who get dressed early in the morning and throng into the fairground. 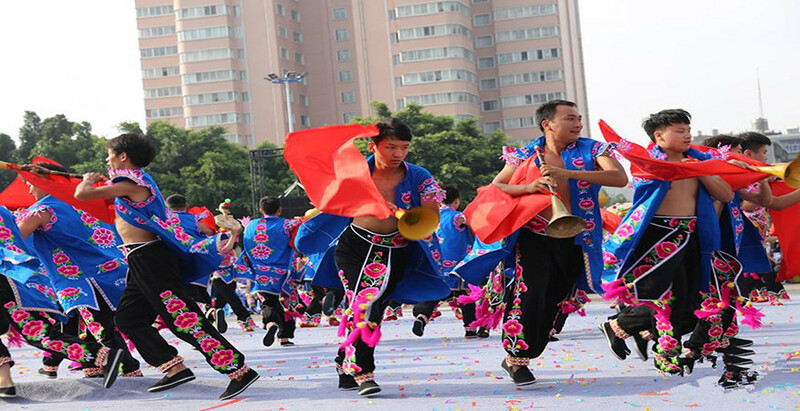 Take part in the special Yi Saizhuang Festival. 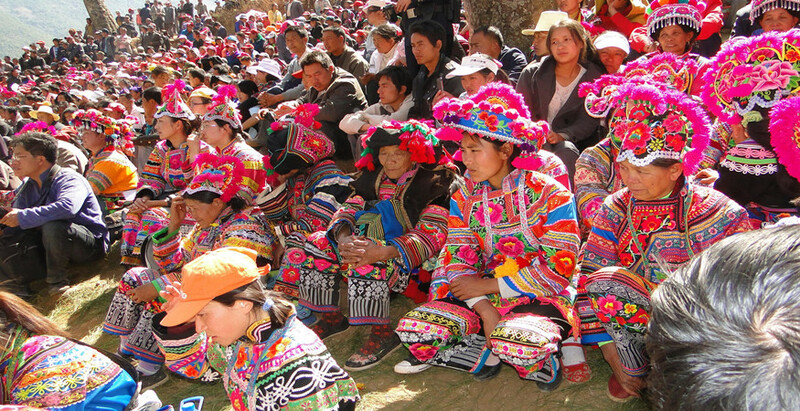 Enjoy the beautiful scenneries of Yunnan on the way. Drive 3 hours to Yongren County. 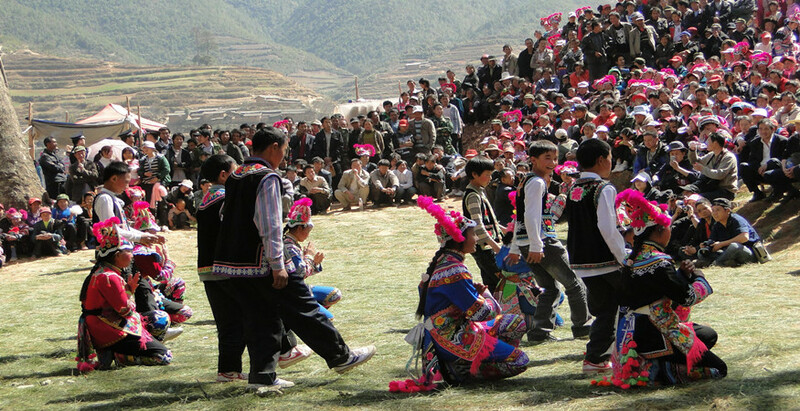 Then transfer further to Zhiju Village in Yongren County for Saizhuang Festival. 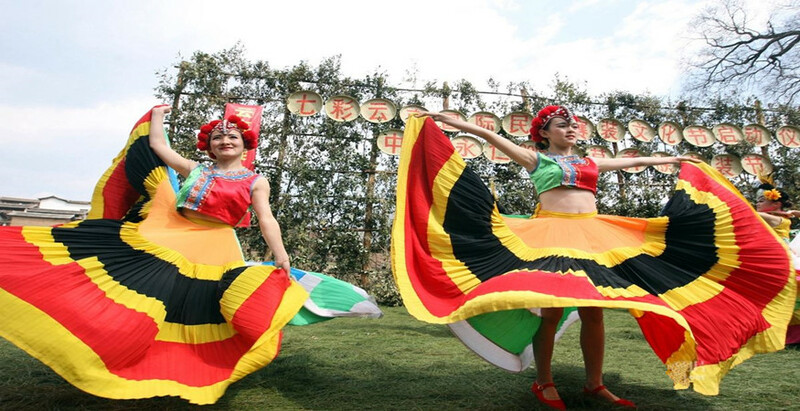 A whole day’s activities for celebrating Saizhuang Festival. Enjoy the celebration of Saizhuang Festival. Drive back to Kunming in the late afternoon. Situated on the northern edge of the tropical zone, Xishuangbanna area is hot, humid and rainy; don’t forget to take an umbrella or a raincoat when go out.